I hear it all the time. I typed in rent metal detector Madison, WI into Google and I found you. However, I also hear from people that they saw us on the TV, newspaper or radio just as much. That’s why I love it when a lost ring story gets picked up by a local newspaper. I sometimes avoid reading the newspaper due to all the negative and depressing news out there. Isn’t it wonderful to hear a story about something as precious as a wedding ring being lost and then found? I had a woman tell me recently that she hesitated to call me after typing in Rent Metal Detector Madison into Google. Reason was she thought it would cost too much. She was surprised when she heard my extremely reasonable rates. She also couldn’t believe that I was willing to come out the same day for the search! You see, I try to convince people to call me rather than attempt to rent metal detector in Madison. Why? I’ve heard so many stories and junk metal detectors at the tool rental places. In addition to the metal detectors being low end, the people renting them don’t know how to operate them. What a bad combination when trying to find something so precious – bad equipment and limited knowledge of how to use it. 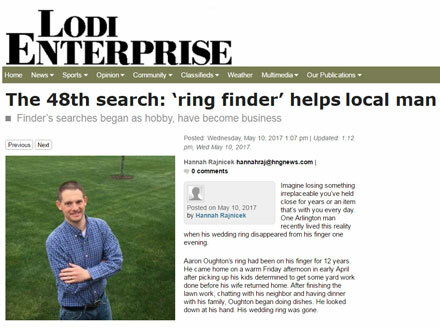 This newspaper story is not just about where to rent a metal detector, it’s about Aaron’s lost wedding band and how he was determined to find it. 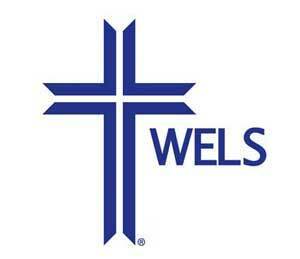 Check out the full story, Cost to Rent a Metal Detector? More than you think! Aaron does an excellent job describing the steps he took to search for his lost ring.